Hi, I'm Cheryl with C-Line, and I love fashion. That's why I'm excited to show you our reusable envelopes in our new Playful Pops Fashion Collection. Fashion is fun, and C-Line keeps you organized with a unique pop of color with this eye-catching design. C-Line's reusable envelopes are made with acid-free polypropylene and are perfect for storing and transporting your letter sized documents with style. As part of our Playful Pops Fashion Collection, these reusable envelopes have a clear front for a cover sheet, and a patterned back to keep the contents private and confidential. The envelopes load from the long side, and the zipper closure keeps your documents safe and secure. Each envelope stores up to 200 8 1/2" x 11" sheets. Playful Pops reusable envelopes are excellent for inter-office communication, and for storing school projects, reports, paperwork and more. They're a fashionable way to organize your home, school, and business. Order yours now. That's all we have for today. I'm Cheryl with C-Line, thanks for watching. Check out the video to discover how you can organize your documents in style with C-Line Playful Pops Reusable Poly Envelopes. 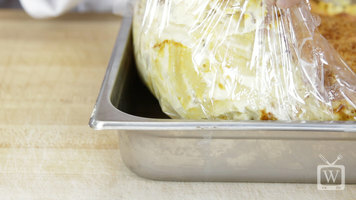 There are many factors to consider while shopping for the perfect meat slicer, including blade size, horsepower, ease of sanitation and more! 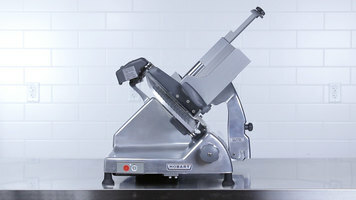 Increase your business' productivity by browsing the meat slicer selection today. 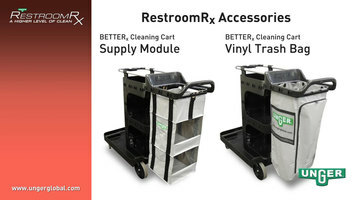 Watch how easy it is to store and transport all of your Unger cleaning tools and accessories in the Unger Restoom Rx cleaning cart! A complete cleaning system, this cart makes for fast, convenient, and efficient service every time.